FYI: I'll be heading out to the Frankfurt Book Fair (FBF), and be out of the country from 10/8 - 10/15. This will be my second year attending the Fair, and if you're bored you can read all the previous FBF posts in the archives. My plan is to muster up whatever manga and comics reporting I can fit in during my breaks and post it for you guys here. I read on the TOKYOPOP DE site that Christina Plaka and Anike Hage will be signing at the TPDE booth, and the Deutsche Cosplaymeisterschaft (German Cosplay Championship!) will be happening again. SO RAD! Another big highlight is that I might be tagging along with friends to a dinner with Sascha Hommer and the Reprodukt crew. As I posted before, Reprodukt is the coolest indie publisher in Germany, like an amalgam between Buenaventura Press, Drawn & Quarterly, Fantagraphics and Dark Horse. Check out their creator stable on the main page if you don't believe me. 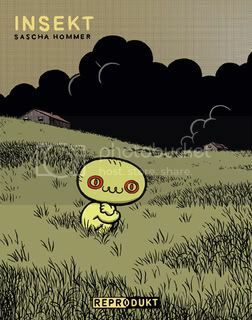 Sascha Hommer is an superb cartoonist, and it's a damn shame that no U.S. publisher (Dark Horse? Ignatz? Last Gasp?) has licensed his stuff yet. We posted previously about his fantastic book Insekt. 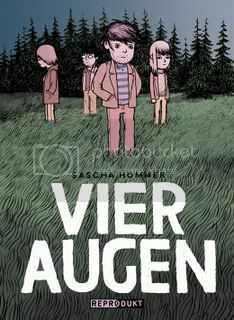 Sascha's new book Vier Augen (Four Eyes in English), is scheduled to be released in Germany in February 2008. 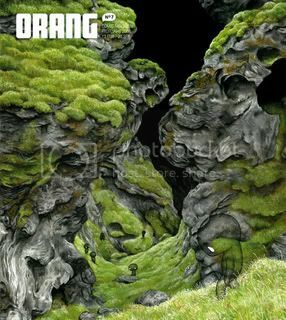 He also is the founder and editor of the comic anthology Orang. Oh, and I also just learned that he did a character design/sketch thingy for Trident gum in Europe. My plan is to buy up any and all comics and magazines he's got on sale. 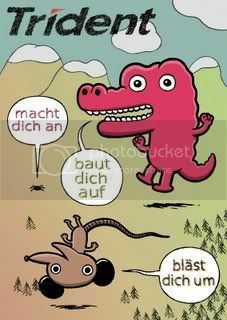 As a little bonus, I'm reposting strips from his daily comic At the Museum in the German newspaper, Frankfurter Rundschau. He created the strip with friend Jan-Frederik Bandel, and it's been running since May. It sounds like Sascha and Jan-Frederik translated these strips in English themselves, and have already published ~90 strips so far in the paper, with plans to try to collect these into a book later this year. The strips here start with Episode 40, and were published during July. Enjoy, and leave comments on his blog if you enjoy them! The strip is hilarious! Thank you for sharring it with us!